Want to do boxing more often? #1. Do 6 minutes of shadow boxing in the morning when you wake up, combined with some morning stretches. Helps wake you up in a hurry. #2. Install a boxing punching bag in your basement or garage - and then schedule 20 minutes every day to use it. #3. Practice shadow boxing while you wait for water to boil. eg. When making coffee, tea, when boiling water for pasta, when making soup, etc. #4. Buy an old used punching bag that has seen better days and take it with you to the cottage and take it out whenever you want to practice with it. #5. Get yourself some portable boxing punching bags so you can practice while camping or on road trips. #6. Practice boxing while waiting for a bus or taxi outside. Also keeps you warm if it is cold outside. #7. 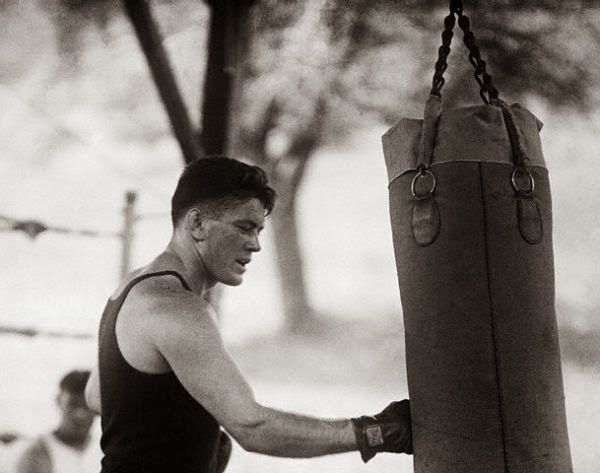 Sign up for boxing lessons with a trainer (like me) or sign up with a local boxing gym. #8. Encourage your friends or family members to get into boxing too, and practice boxing together in a safe manner. #9. Go jogging and practice boxing while you jog. Great for your endurance. #10. 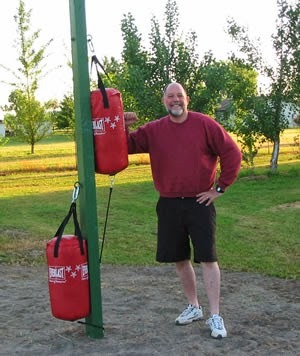 Install a homemade boxing bag in a nearby wooded area for everyone to use. A cheap way to do this is to use old tires like in the photos below. We all do it once in awhile. We go away on vacation, often for Thanksgiving, Christmas or some similar family or friends oriented event, and we end up eating too much. So what do you do about it and how do you recover from it? "I already ate two. If I have any more I might burst." At which point grandma will leave you alone and focus her attentions on fattening up the younglings. Having the willpower to lie to your grandmother may take some effort, but your quest for moderation will not be stopped after the second helping. The cascade of sweets will wear down your willpower, so each time you sit down and eat your goal should be to limit yourself to no more than two helpings. Two helping of Aunt Marjorie's pie. Two helpings of Grandma's cake. Two cookies from the tray of cookies your mother brought with her to the event. You get the idea. And at some point you should start to fill full, at which point you should reach for the water - drink your fill of water, and pronounce yourself full. When amongst friends it may be an even more glorious smorgasbord of junk food. Chips, pizza, chocolates, candies - like a junk food filled Halloween party. Your goal here will be to avoid becoming the Cookie Monster, crumbs flying in every direction, shovelling it in two hands at a time. Same deal as before, eat your fair amount - then drink a large glass of water and then you should feel full. #2. Plan Ahead to Prevent Over Eating. -Eat a solid meal before going out. -Try a *little* bit of everything. -Avoid excess alcohol. It will just make you more hungry. Focus on water instead and stay hydrated. Okay, so you tried moderation and prevention, and possibly failed miserably. Or maybe you were successful. Even if you were not, no biggie. What you need to do is don't do it again the following day (eg. The Sunday after the Saturday Pie Eating Contest). Your body stores extra fat over longer periods. If you only slip once in a while, it will be burned off easily with exercise because the blood sugar will still be in your blood system for 24 hours, and balanced by good nutrition and exercise you will be fine. However if you binge again a 2nd day then your body will start reducing your blood sugar levels by storing it as fat instead. So the trick on the 2nd day is to continue moderation as much as you can. Hopefully you are still full from the first day and this won't be too hard. Honestly, there is also a psychological benefit to this too. If you're eating really healthy 90% of the time, eating "bad" food is psychologically GOOD for you. Why work out so hard, and monitor food intake, if you can't let loose once in a while and enjoy having a sweet tooth once in awhile? As long as your calorie input is less or equal to the output, you will continue to lose/maintain weight. Falling off the wagon (or horse) is a minor setback. It's only when you are eating more than you burn on average, over the course of the week, that you should be worried about losing results. #4. Post Catastrophe Clean Up, aka Getting Back On The Horse! Exercise. Burn fat the next morning. You will feel better about yourself in a hurry. Drink lots of water and herbal tea. Give your body a flush. Liquids are your friend. Staying hydrated will keep the metabolism revved, and will reduce bloating. You may end up needing to urinate a lot, but every time you do your body will be ridding yourself of excess chemicals. Eat lots of fruit and veggies. Your body needs a dose of nutrients. Fruits especially, and vegetables have a high water content, and both contain: vitamins, minerals, antioxidants, and fiber. Fill up on good stuff. One or two days of eating badly isn't that big of a deal. You don't need to be alarmist about it. Just get right back on the horse and don't worry about it. Stuff happens and you can't let the small stuff get in the way of your big picture. 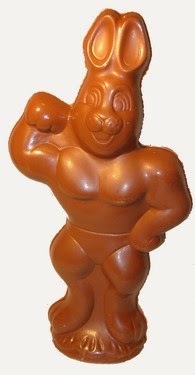 So if you eat a whole chocolate rabbit once a year during Easter, no biggie. You will make it up through smart diet and exercise during the weeks and months and years after the fact. ArcheryToronto.ca maintains a list of all the reputable places where you can buy archery equipment in Toronto. The good news is that the list includes traditional bows, compound bows, and even places where you can buy Olympic archery equipment. 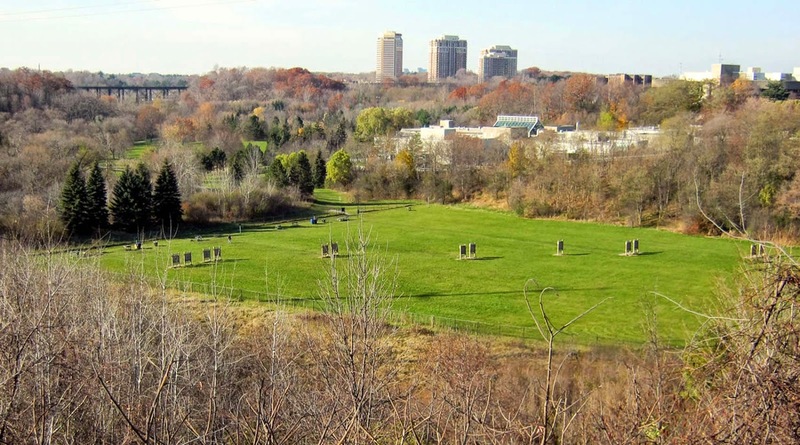 There really is only big one that everyone can use: The Toronto Public Archery Range. There are several smaller private archery ranges at Hart House (for University of Toronto students), the JCCC (primarily for people seeking to learn Japanese Kyudo), and also at Casa Loma (which offers longbow archery lessons for small groups several times per year). A. Ask me to teach them. C. Send your kid to a day camp / summer camp near Toronto that offers archery lessons. Note - Finding archery lessons for kids can be tricky as many instructors don't teach kids and have a set age limit. A. Ask me to teach you. B. Sign up for Kyudo at the JCCC. C. Sign up for longbow lessons at Casa Loma. D. Browse other individuals / places which offer archery lessons in Toronto. For starters read the Do-It-Yourself Approach to Archery in Toronto, an article I wrote for the Canadian Daily. That will give you a good idea of how to get started and how to do archery without hiring an instructor. #1. The Canadian Toxophilite Society. #2. The Toronto Survivalist Meetup Group. #3. 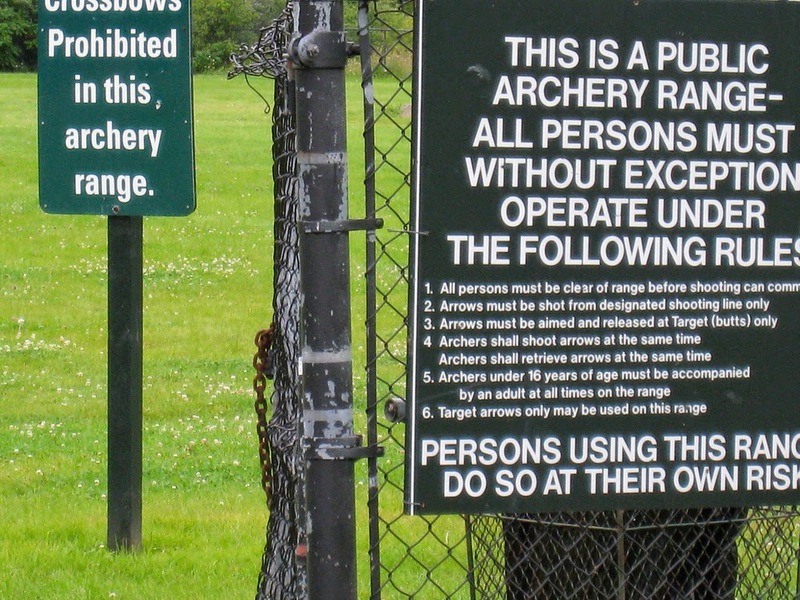 The Toronto Public Archery Range on Facebook. #4. The Ontario Outdoor Magazine Bowhunting Forum. #5. Buy one of the following books that I recommend: "Precision Archery" by Steve Ruis and Claudia Stevenson; "Archery: Steps to Success" by Kathleen Haywood and Catherine Lewis. 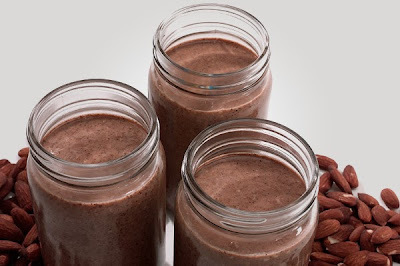 There are lots of ways to mix whey protein in with lots of your daily foods. Everything from cereal to coffee to even pancakes and cookies. Go browse YouTube for whey protein recipes to see what I mean. Below is some examples that I found. Whey Protein in a Sandwich??? Below is a list of Frequently Asked Questions about Whey Protein - and their corresponding answers. #1. Does Whey Protein Have any Side Effects? Whey protein is found in milk. There are no documented side effects provided a person does not have an allergy to dairy proteins or does not need to restrict dairy products for medical reasons. If you are allergic to dairy proteins please consult with a physician prior to consuming any type of whey protein. #2. There are so many different kinds. Which Whey Protein Supplement is right for me? Whey protein isolate - the most pure form of whey protein - more expensive. Whey protein concentrate - not as pure, slightly higher fat & lactose - cheap. Whey protein blend - a mixture of isolate and concentrate - moderately priced. Obviously, the more pure and high quality the product is then the higher the price tag will be. This is why whey protein isolate is the most expensive form of whey protein. But you get what you pay for, pure whey protein is literally zero fat, zero carbs and zero lactose. It's the highest quality protein and will give you the most protein per serving with the least amount of calories. So if you have the money to spend, then whey protein isolate is the best quality protein available. #3. What are the Pros and Cons of Whey Protein Isolate? More expensive than concentrate & blends. #4. Which whey protein brand name company is the best? There isn't a "best". That is like asking which clump of sand is best. Sand is sand. Whey protein isolate is whey protein isolate, it is chemically no different from other whey protein isolate. However when it comes to whey protein concentrate and whey protein blend, there will be definite differences in purity between different companies because they will be filtered differently and some concentrates will be higher quality than other concentrates, and the same goes with blends. For someone who is looking for weight gain - muscle mass - they might want the concentrate or blend because it will give them more energy during their exercise routine. For someone who is actually looking to LOSE weight, but wants to gain muscle while shedding fat, they might want to pick the isolate instead - or if they feel they need more energy, the concentrate. So it isn't a matter of which is the best brand name company, it is a matter of which product suits your needs in terms of protein, energy and price. A quick rule of thumb, the bigger and shinier the container, the more likely the contents are overpriced. Myself, I whip out my smartphone and start doing protein per price calculations with the calculator on my phone. #5. What are the Pros and Cons of Whey Protein Concentrate? #6. What are the Pros and Cons of Whey Protein Blends? Thankfully there is some middle ground - Whey protein blends, as the name suggests, is literally a blend of whey protein isolate and concentrate. Roughly half and half, depending on the company. By doing this, supplement manufacturers have found a good middle-ground between price and quality. Not all protein blends are created equal though. Some have more isolate than concentrate, and vice versa. So like I said earlier, now is a good time to get out your calculator and do some calculations to determine the price per protein. #7. Can I mix whey protein with other supplements? Yes of course. Whey protein goes well with a whole host of supplements. A few examples are creatine, dextrose and glutamine. 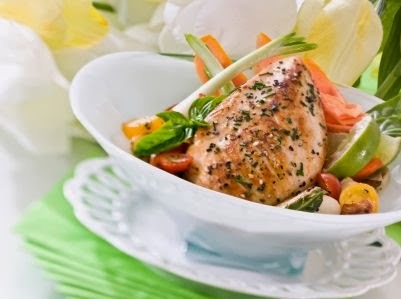 In fact, the uptake of protein can be improved by combining it with high GI carbohydrates. This produces an insulin spike that delivers nutrients to muscles faster than water or milk. However what really matters is what your goals are. If your primary goal is to add on muscle, then you need to learn more about whey protein and the other supplements you are using to see how each works independently. #8. How much protein should I take? How much whey protein you need is completely dependent on your weight, exercise level and goals. No 2 people are the same. Bodybuilders generally consume between 1 and 2 grams of protein per pound of bodyweight per day - but to be fair, not everyone is a bodybuilder and doing that much exercise. If you are an average joe who is trying to put on extra muscle, 1 scoop is probably all you need. #9. When is the best time to take whey protein? When you take whey protein depends on your goals. Whey protein is fast digesting, so it's ideal for when you need it quickly. 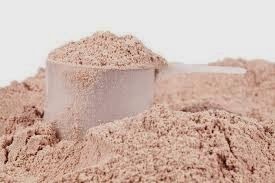 The most common times whey is used is first thing in the morning, after sport or training and sometimes before exercise. So you can mix it with milk, water, yogurt - I even enjoy mixing it with my cereal and milk in the morning to make my Kellogg's Vector flakes taste chocolaty. #10. 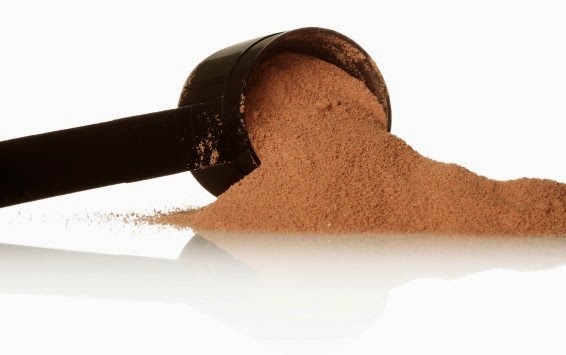 Will whey protein help me lose weight? More likely you will add weight first - as you put on more muscle weight. However assuming you are exercising, especially cardio exercises, adding whey protein to your diet will add more muscle mass to your heart and lungs and give you a greater endurance. And greater endurance means you can run faster for longer periods of time - which will ultimately burn more calories and shed fat. Thus yes, whey protein can help you lose weight - but only in combination with regular cardio exercises. Studies have also found that individuals who combine diets with leucine rich protein foods, like whey protein, and exercise have more lean muscle tissue and they lose more body fat. As they lose fat their metabolic rate increases and they naturally burn more calories each day. Another way that whey protein helps manage weight is by promoting satiety, or a feeling of fullness. #11. What is better, whey or casein protein? Whey protein has the highest BV value, and is the richest source of BCAAs of any protein. This means it is far superior to any other type of protein for muscle building, weight loss and general health. Casein protein has its place though. Casein protein is absorbed much slower by the body (up to about 7 hours). This means it's ideal for a "night time" supplement, taken before bed. Bodybuilders and professional athletes have used casein for decades as a slow release protein to repair muscle tissue during sleep. Thus for best results, use whey protein in the morning, before and after workouts, and consume casein protein as part of your evening meal. #12. Is whey protein OK for vegetarians? Absolutely. Whey protein is an ideal protein source for vegetarians who include dairy products in their diet. However for vegans, who don't consume dairy, they won't like where the source of the whey is coming from: Dairy farms. #13. Is whey protein easy to digest? Whey protein is water soluble and a very easy to digest protein. It quickly enters the body to provide the important essential amino acids needed to nourish muscles and other body tissues. This is one of the reasons it is a common ingredient in infant formula and protein supplements for medical use. Some people also make granola bars, biscuits and cookies using their whey protein. There are lots of recipes online for you to browse. #14. Can whey protein harm my kidneys? For animals studies have shown that animals with high protein intakes (like cats, dogs, bears and other carnivores) they don't suffer kidney damage for the first half of their life time. The kidney damage they sometimes suffer later in life is more closely linked to aging and getting older. High protein intake may be hazardous only for individuals who have abnormal kidney function or kidney disease, and the reason is because their kidneys are the first to suffer if they become dehydrated. Even for the disease-free individual, the most serious concern with high protein intake is dehydration, because it takes a lot of water to metabolize protein. Thus for best results, drink between 250 mL to 500 mL of water for each scoop of whey protein you take. Jumping rope for 6 minutes is a great cardio activity that you can do every day and you can see some dramatic health benefits. Fantastic cardiovascular workout that boosts weight loss dramatically. The trick about jumping rope is to pace yourself if you haven't done it for a long time. Start off doing it for 6 minutes every day. Then work your way up to 20 minutes every day. After several months of 20 minutes every day then work your way up to 40 minutes per day. Jumping rope for a minute is roughly 120 jumps. That makes it a pretty tough exercise to do because it requires so much more energy and coordination. A 170 lb person burns 539.78 calories during 40 minutes of moderate jumping rope. A 200 lb person burns 635.03 calories during 40 minutes of moderate jumping rope. A 240 lb person burns 762.03 calories during 40 minutes of moderate jumping rope. Note, because skipping rope is such a big cardio exercise it can also trigger the Afterburn Effect, which will cause you to burn even more calories than you thought. Thus 20 to 40 minutes of vigorous jumping rope every day can burn approx. 1 to 2 pounds of fat (or more) per week thanks to the Afterburn Effect. A 170 lb person burns 323.87 calories during 20 minutes of vigorous jumping rope. X 7 is 2267 calories per week, which you can then (conservatively) multiply by 1.5 because of the Afterburn Effect = 3401 calories. 3500 calories equals 1 lb of fat. Thus anyone who weighs 170 lbs or more, doing 20 minutes of skipping rope every day, can see dramatic differences in just 1 week. So how big is 1 lb of fat? See the photo below. Now imagine all the health benefits if you started off at say 240 lbs and wanted to lose 80 lbs, down to 160 lbs? They would be plentiful health benefits, but lets do the math to see how this could be accomplished. Assuming an average weight of 200 lbs during this weight loss period, we use that as the number when inputting into a calorie calculator. A 200 lb person burns 381.02 calories during 20 minutes of vigorous jumping rope. x 720 days = 274,334.4 calories burned. That is 78.38 lbs of fat in less than two years... and that is NOT counting the Afterburn Effect, that is not counting additional exercises the person might also try / start doing in addition to skipping rope, and that is not counting dietary changes if they start eating healthier. For best results, I recommend a healthy balanced diet with lots of veggies, lean meat, and a moderately low amount of carbs. To stay motivated I recommend listening to fast adrenaline filled music while doing your rope jumping. For fun combine rope jumping / skipping rope with other body weight activities like squats, crunches, sit ups, push ups, chin ups, etc for an all over approach to fitness. For even more fun try to get friends and family involved too. There are many different fad diets on the market that restrict food groups, or eliminate them altogether! While this is not an ideal way to lose weight, cutting back on certain foods, like carbs can help you to lose weight. However cutting out carbs entirely is not going to help you either. Why? Well let us first ask what are carbohydrates? Carbohydrates are different kinds of sugars and when they are not burned by doing exercise activities they are stored as fat. If you don't use your carbs, then you end up storing them. Thus many low carb and no carb diets focus on the idea of eliminating sugars entirely. The plan goes that if you reduce your intake of carbs / sugar, you will burn your fat stores instead. Which is true, you do burn your fat stores - and your muscle - and your brain matter - and damages your internal organs. But what this plan doesn't account for is "carb crashing", wherein your blood sugar levels drop so low that your body starts to run low on energy and it cannot drain from your fat stores quickly enough, so instead you feel sluggish, tired and slow. And dumber. If you've ever been on a low carb / no carb diet, then you know what I am talking about. Your body is basically shutting down and trying to use as little energy as possible, and to get energy it starts draining resources from muscle tissue, organs, fat stores, everything! However there are ways to around this. #1. Eat lots of vegetables. #2. Combine your veggies with lean meat. #3. Reduce grain products - rice, bread, etc. This doesn't mean you avoid such foods entirely. Simply that you reduce how much you are eating so you are not reliant upon sugars for all of your energy. Your end goal here is to make sure you are consuming lots of nutrients and protein (veggies and meat), while simultaneously reducing how much carbs you are eating. 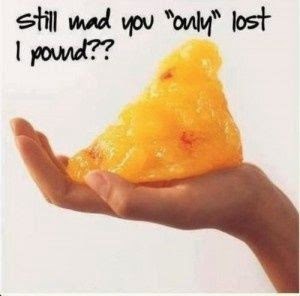 The end result is that you will lose weight gradually and healthily over a period of time. As opposed to carb crashing, feeling physically horrible as your body cannibalizes itself, and making yourself slower, dumber and weaker. So why do people complain about carbs so much? Carbohydrates are very common, and often inadvertently overeaten because bread, rice, pasta and similar foods are considered to be staples in our modern culture. They are easy to store, easy to make, and cheap. Healthy foods - veggies and meat - always cost way more than a loaf of bread. The concept of smaller portions of carbs, lots of veggies and a serving of lean meat just doesn't sound as appetizing to people who have been raised on mashed potatoes, gravy and fatty meats - which tastes amazing, but it would be a lot healthier if the meat was lean, the gravy was low fat, and the potatoes had other veggies (eg. peas) mixed in with it. Here are 5 tips for reducing carbs in your diet. #1. Make burritos but instead of wrapping in tortilla, wrap in a big piece of lettuce. This is similar to the Korean dish samgyopsal, which is BBQ pork wrapped in lettuce. #2. Dip veggies into hummus or yogurt instead of bread. #3. Reduce pasta portion by half, serve with lean, skinless meat or tofu, and vegetables. #4. Have an open faced sandwich with one slice of bread. This leaves room for a side such as cottage cheese, salad or hard boiled eggs. #5. When snacking, opt for carrot sticks, apple slices, or even a salad instead of reaching for the bag of chips. If you have trouble dropping weight feel free to contact me for an in-person nutritional consultation. If you try almond butter you might just fall in love! Almond butter has the look and consistency of peanut butter but is a little darker (it looks like chocolate), and of course, it is made from almonds! Almond butter is absolutely delicious and can be used in sandwiches with fruit, jelly, or just on its own. It can also be mixed into oatmeal, granola, flax meal, and even stir fry / stews. In addition to the taste of almond butter, you may notice some interesting health benefits. eg. Like your nails became thicker, stronger and shinier. This is because almond butter is very high in vitamin E.
#3. It makes a great "workout snack" for energy and protein. #5. Alleviates symptoms of BPH (enlarged prostate) in men. #6. It makes you feel full for hours. Plus it makes a great alternative to peanut butter when you need to pack a lunch (for your children) in a peanut-allergy conscientious environment. Many Toronto schools have banned peanut butter, so almond butter makes a great and healthy alternative. However I want to point out that almond butter is not necessarily healthier than peanut butter. It simply has the health benefits of almonds, while peanut butter has all the health benefits of peanuts. They are both good for different reasons. I recommend purchasing natural peanut and almond butters in order to avoid the hydrogenated oils many companies add to prevent the oil from separating. It just means you need to mix your butter with a knife and then stick it in the fridge, but once that is done it is no longer an issue. Archery is more popular than ever. Or at least for the last 100 years. To be fair archery will never be as popular again as it was many centuries ago when archery was a prevalent part of tribal hunting and warfare. With the rise of agriculture, civilization, crossbows, firearms, pre-packaged foods, factory farms, etc the need to hunt for our food has been reduced significantly. But with respect to the last 100 years archery has seen only 2 periods where it was a fad. 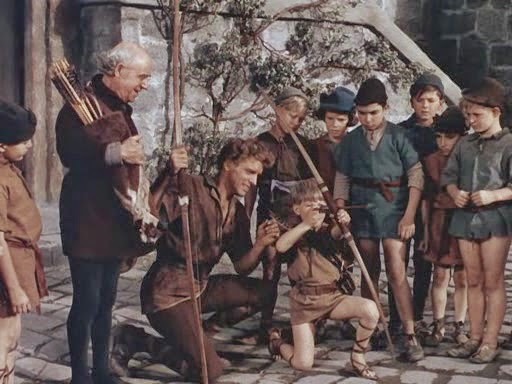 The 1950s, when a variety of movies - including many different renditions of Robin Hood - had archery as a major part of the action sequences. Such movies were Westerns, sword and sandal action flicks, and a variety of Robin Hood ripoffs like "The Flame and the Arrow" starring a very young Burt Lancaster. But the 1950s was a hiccup compared to the height of popularity archery has achieved now. And movies like "The Flame and the Arrow" now feel poorly made, as even during their time they were low-budget flicks designed to capitalize on the archery fad of the times. By today's standards such films would be B movies at best - and certainly wouldn't have star power like Burt Lancaster in a B movie role. But how do I know that archery is more popular now than it was in the 1950s? It is a combination of factors. Facetime on mass media, equipment sales records, the sheer number of people at the archery range - which is 15 times what it used to be 4 - 5 years ago. 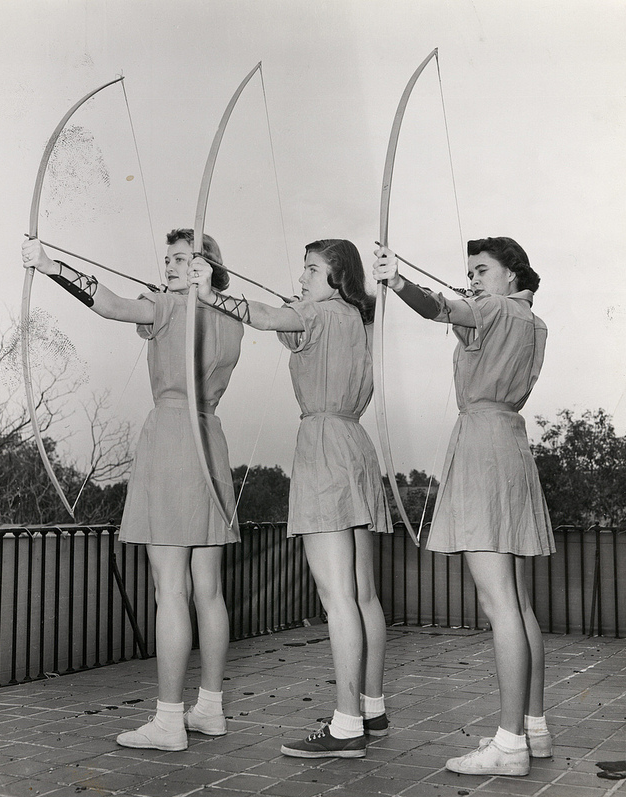 The 1950s had school archery clubs in a rare few schools. By a few, I mean a rare few. While some schools did hop on the archery bandwagon during the 1940s, 1950s and even 1960s it was not a popular thing to do at the time. Now? Thanks to a school archery program that began in Alabama over a decade ago that program has spread to hundreds and then thousands of schools across the USA. Canadian schools have begun to create their own similar programs, but it is more rare as Canada doesn't have the obesity rate the USA does and the program was started primarily for the reason of fighting obesity amongst Alabama schools. The National Archery in Schools Program (NASP) was started in 2001 and has since had some small headway in Canada - mostly in Manitoba, Saskatchewan, Alberta and Prince Edward Island. It isn't that archery isn't in its own fad stage here in Canada too, the problem is Canadian schools have not been signing on for a Canadian version of the NASP program at the same speed as American schools. So if you are a parent and have kids who want to do archery, my advice is that you visit the NASP website (naspschools.org) and see if you can encourage your local school board to add archery as an after-school program for kids. You might wonder why I am promoting this. Well, I am not getting paid by NASP if that is what you think. The truth is I am contacted daily by Toronto parents looking for archery lessons for their kids after school and on weekends - and my schedule is so full with my personal training sessions, boxing lessons, archery lessons, etc - to say nothing of having a social life - that I know right now that I am going to be turning people away for archery lessons because my schedule on some days is so full. Thus it makes sense for me to promote alternative ways for parents to get archery lessons for their kids. For example, in addition to promoting NASP in Toronto schools, parents could also send their kids to one of the many day camps or summer camps in Ontario that offer archery. You can see a list of archery camps near Toronto by visiting ArcheryToronto.ca. However a bit of advice regarding summer camps, a lot of them get booked full months in advance. So if you want to send your kids to a summer camp that has archery, you will need to do this NOW rather than later. Some summer camps book up full in February and cannot accept any more. And if you cannot get a spot at a summer camp, if your kid's school doesn't offer archery, if people like myself are too busy, well then your next best option is to buy your own archery equipment, buy a book like "Precision Archery" by Steve Ruis and Claudia Stevenson, and then learn as best as you can using the book. If you opt for this then I recommend that the parent ALSO learn archery so that their kid is learning from you, instead of just fumbling the process and achieving horrible results. Another option, often ignored, is to enroll your kids in Boy Scouts / Girl Guides. Boy Scouts is how I first tried archery in 1989. Find a group that has archery listed amongst their activities, ask the organizers how often archery is done in the group (not as much as you like, but still often enough) and then enroll little Samuel or Samantha in scouts / guides. When archery became vogue during the 1950s it stayed pretty popular until the early 1970s. I fully expect the current rise in archery's popularity to last until 2030 at least. Or maybe we will see a resurgence in the sport the likes we have never seen before, effecting generations to come. That would be welcome too.